It’s no longer news that the Marc by Marc Jacobs line will be discontinued, but the brand’s women’s wear design director Luella Bartley and creative director Katie Hillier are still keeping busy and staying in the news. Last week they revealed plans to launch their very first namesake label together, called Hillier Bartley and today, Hillier has launched the latest collection from her fine bauble range. Hillier was launched in 2010, but this season, the gems in the collection have a whole new (read: more attainable) price point (starting around $300), thanks to shifting to the use of 14 karat gold from 18 karat gold. 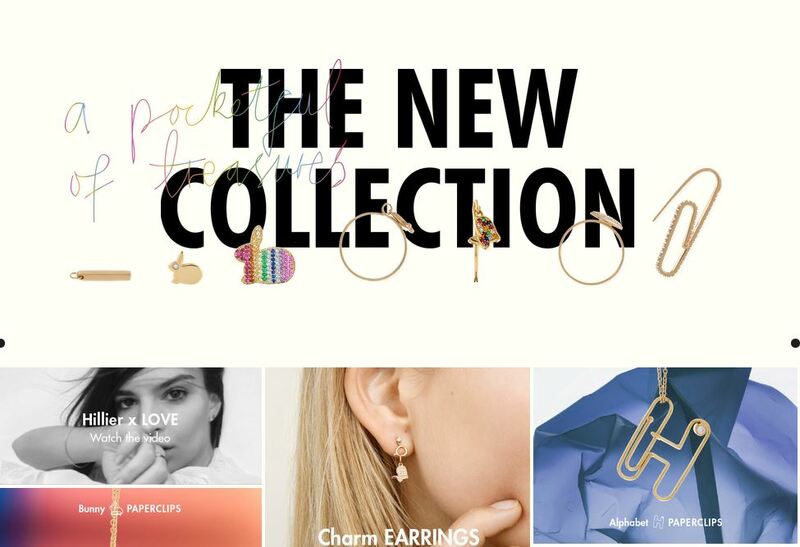 Naturally, this is a very playful range, featuring luxe versions of paperclips and push pins, fashioned into earrings and bracelets. There are also bunnies studded with colorful stones and dusted with diamonds. Quite adorable, non?